A long-time fear among investors is that Amazon, the top retailer of consumer electronic products, will continue to eat away at Best Buy's market share. 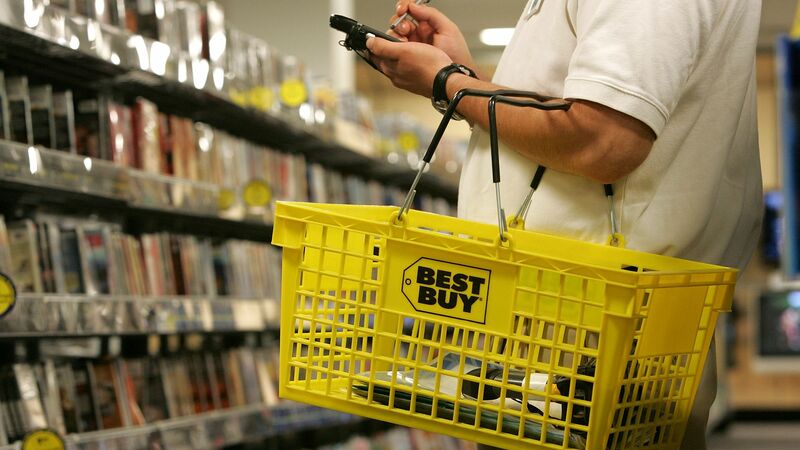 But traditional retailers are coming for Best Buy's niche, too. What to watch: According to Michael Lasser, a retail analyst at UBS, healthy results from big-box stores in the consumer electronics category suggests there could be some "chipping away" at Best Buy's dominance in this area. In Target's most recent quarter, electronics sales were a key driver in its "hardlines" category. Costco also cited strong growth in its computer and tablet sales. If you are a customer that is excited about technology and is looking for help and support in a relationship, we are building something that's very, very special and we feel it's working. So I know in the past there's been this idea that's once technology matures it goes to the mass channel and then we have to move on .. that's not at all what we're seeing. The bottom line: There is always a risk that "specialty retailers" like Best Buy will see increased competition from retailers that sell a variety of merchandise, not just electronics. This is likely the reason Best Buy has put so much emphasis on its technology expertise (the Geek Squad) and has ventured into health services.